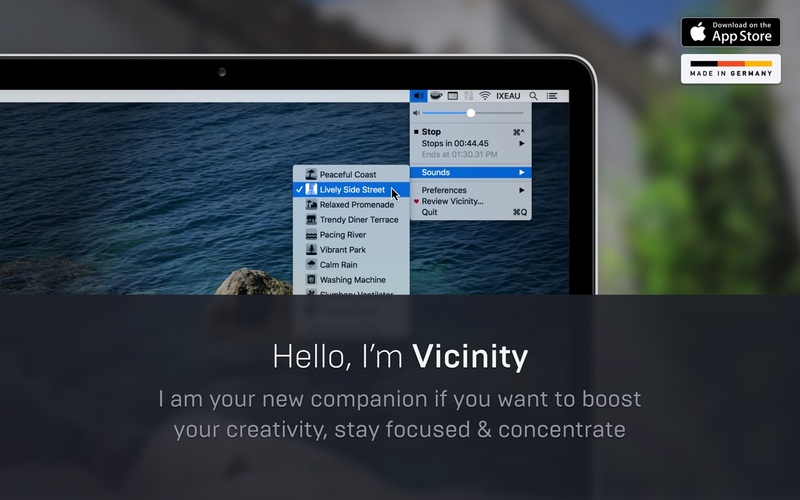 Vicinity helps you to stay concentrated, focused, or relaxed. Using selected, handcrafted ambient sounds in high definition, it enhances your environment by creating an authentic acoustic atmosphere. Located in your menu bar, it’s easily and quickly accessible. Although we don’t try to convince you with quantity but with quality, we’ll add additional sounds constantly.